Experience with your couple a luxury honeymoon in Cambodia, enjoying among World Heritage Sites and on unspoiled tropical islands and beaches. 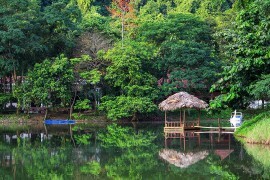 Highlights include aromatherapy massage, dining under the stars, sunset on gondola paddleboat ride, relaxing on a tropical island and visiting Angkor Wat (a complex of temples, declared as World Heritage Site, where time stopped long time ago, and where you will be captivated by the ancient power of Khmer empire and the beauty of its ruins).Do not hesitate to start your marriage in the best possible way in Cambodia. 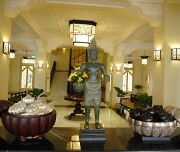 Upon arrival at Siem Reap airport, our tour guide and car will be waiting for you then take you to your hotel. 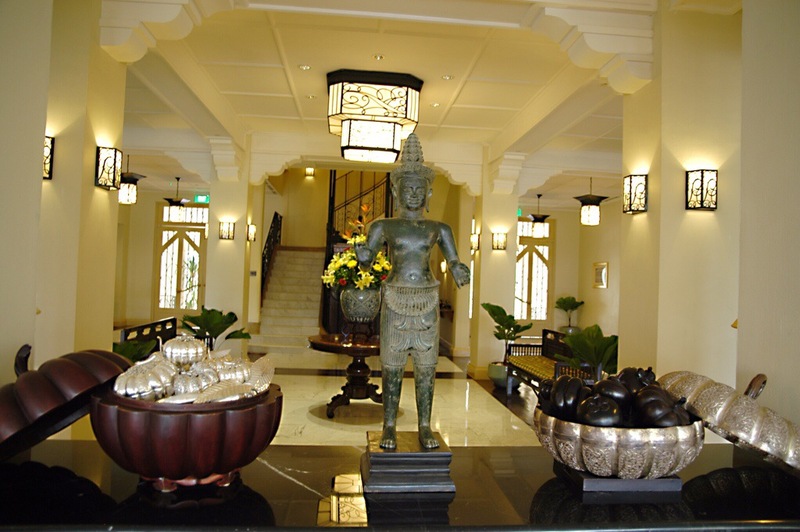 Check in one of the luxurious romantic themed rooms decorated with fresh flowers at Raffles Grand D’Angkor and relax with an aromatherapy massage (55minute). Enjoy a romantic and private dinner under the stars in the lush Spice Garden with soothing music and exclusive services. You will spend a full day to discover mystical Angkor temples. 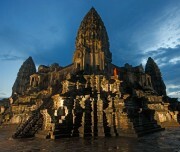 In the morning, start with the magnificent Angkor Wat, a World Heritage Site since 1992. 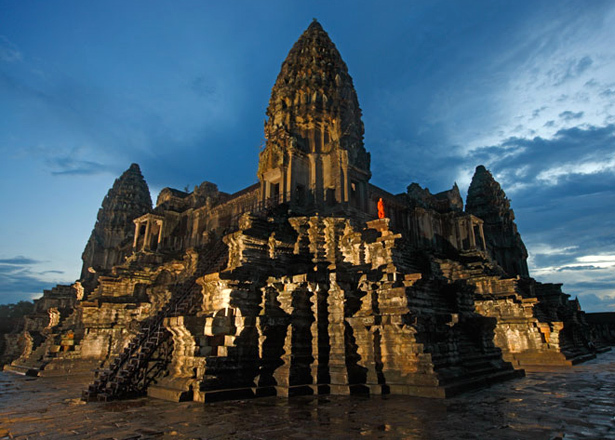 It is the largest religious monument in the world and finest example of Angkorian art and architecture. Continue to the “Jungle Temple”, Ta Prohm, offering a ‘jungle atmosphere’ and some of the best ‘tree-in-temple’ photo opportunities at Angkor. Have lunch at a local restaurant. In the afternoon, explore Angkor Thom (Great City), an ancient walled city imposing South Gate topped with the four serenely smiling faces of Avalokiteshvara. 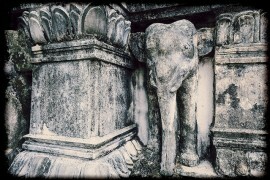 Move on to Bayon Temple, the Phimeanakas, the Royal Enclosure, the Elephant Terrace and the Terrace of the Leper King. In the evening, enjoy a relaxing cruise in a traditional gondola paddle boat while watching the sunset at PrasatChrung temple. Cocktails, champagne, canapés and soft drink will be available on the boat.Dinner and overnight in Siem Reap. 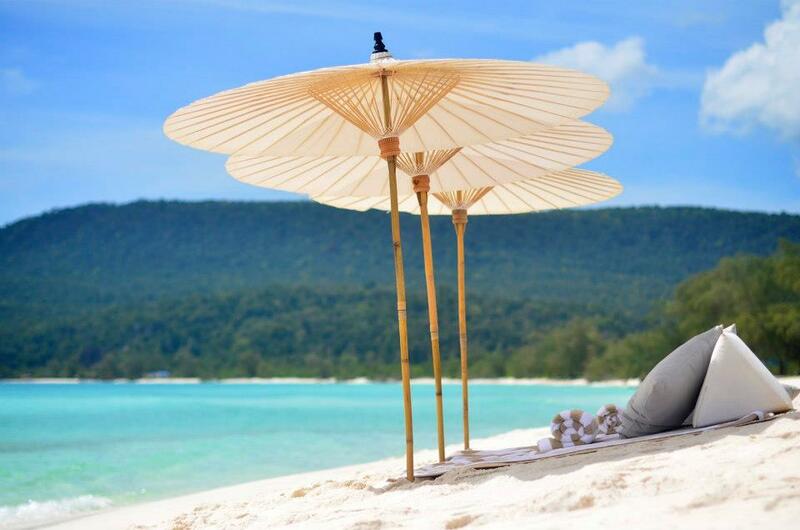 In the morning, enjoy some free time relaxing or shopping around before transferring to Siem Reap for a short flight to Sihanoukville – Cambodia’s premier beach town. 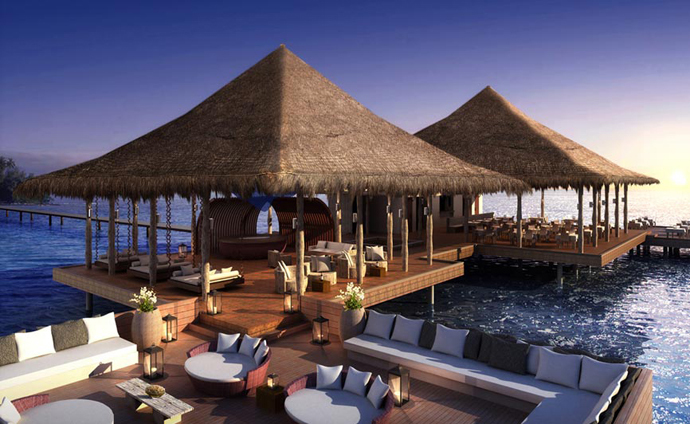 On arrival, embark on a speed boat to Song Saa Private Island (The sweethearts Island). Pamper your newly married spirit to a stunning dinner setting at the island’s exquisite overwater restaurant. 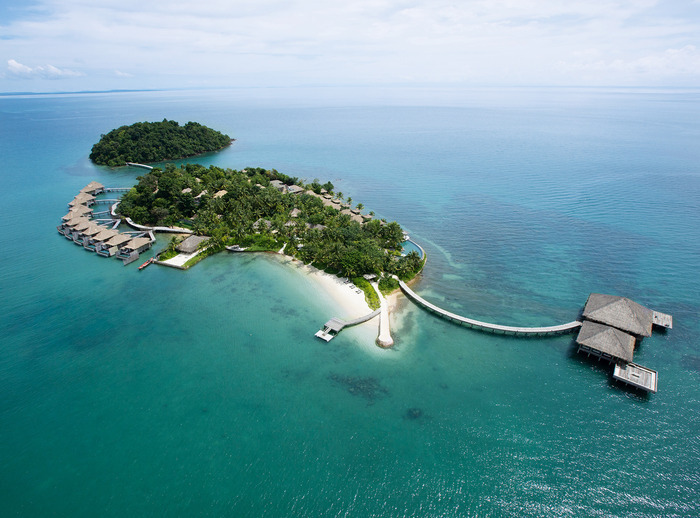 Overnight at Song Saa Private Island Resort. 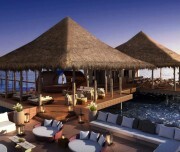 Your accommodation will be in “Over Water Villa” with pool. Enjoy two entire free days to spend time alone with your beloved one and indulge yourself in everything the resort and its surrounds have to offer. Overnight in Song Saa. After breakfast, transfer by speed boat to Sihanoukville Port. Our guide and driver will be waiting for you at the port. 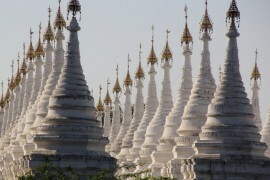 Continue to Phnom Penh (approximately 4 hour driving) and go directly to the airport for your flight back home. End of services.